Kevlar bead. 650x20mm is 205g. Michelin was incorporated in 1888, and was awarded its first patent for a removable pneumatic tire in 1891. 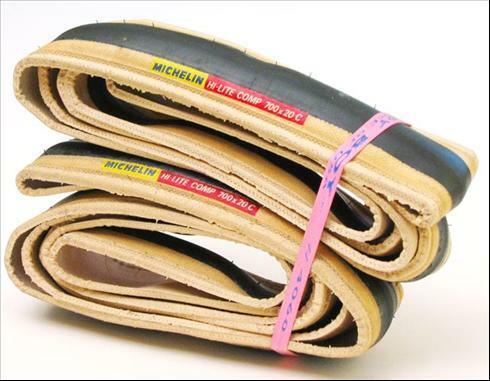 Cyclist Charles Terront used this new removable tire that same year in his win at Paris-Brest-Paris.